Not many spirits get a whole day devoted to them but gin, as we all know, is different and June 14th has officially been declared World Gin Day. 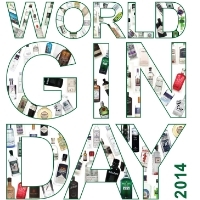 Now in its sixth year the concept of World Gin Day is spreading fast and next weekend sees a plethora of events and celebrations from the Gin and Jazz Party at the City of London Distillery in London and numerous other shindigs throughout the UK supported by all the big brands. There are gin happenings as far afield as Australia and New Zealand as well as daily competitions to win exclusive bottles of juniper deliciousness. As for us we’ll be a the Scottish Juniper Festival at Summerhall in Edinburgh on the 13th and 14th June chatting to producers about how they make their gins and generally sharing the gin love in the company of all our faves.